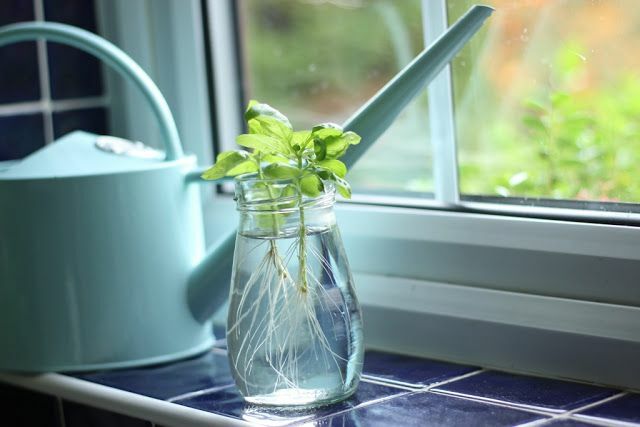 Herb gardening is great for newbies wanting to try their hand at gardening, for apartment dwellers with limited amounts of space, and even seasoned gardeners. 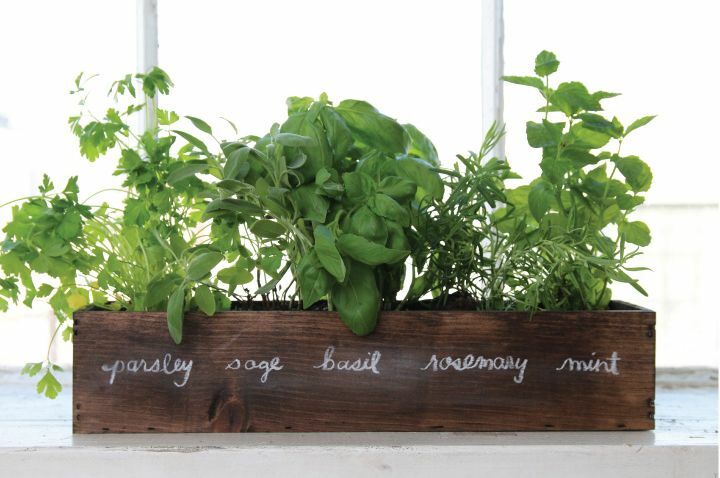 Herbs are easy to grow indoors or out, require little space, and a little harvest will go a long way in the kitchen. If you're looking to get started with an herb garden, it's important to keep these tips in mind. If you're going to grow your herbs in containers, it's best to start with fresh, high-quality potting soil formulated for containers. 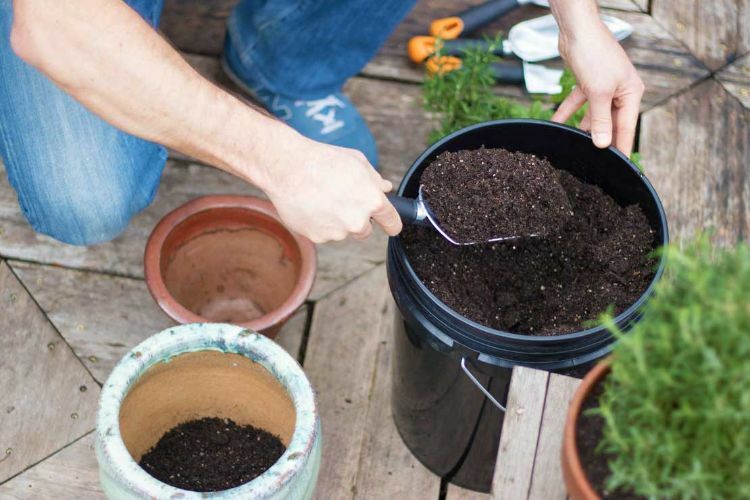 Over time plants will deplete nutrients from the soil so you should use new soil whenever filling containers. Potting soil will not compact the way garden soil does, allowing water and nutrients to reach the root zone of the plants. Plants need water, yes, but it's important the soil surrounding the roots isn't too soggy. If it's completely waterlogged the roots can't access oxygen they need from the soil. Make sure containers have good drainage so water doesn't sit in the bottom of the pot. 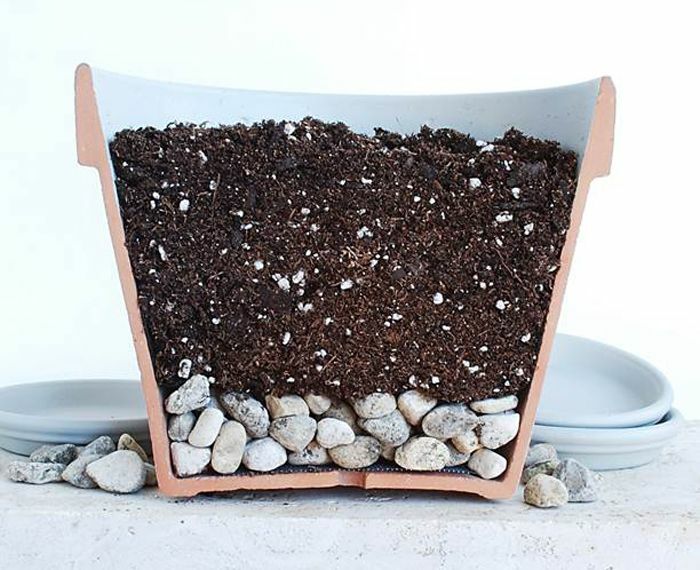 Some people add rocks or gravel to the bottom to help of containers to help facilitate drainage. All plants need a constant source of nutrients for optimum growth. 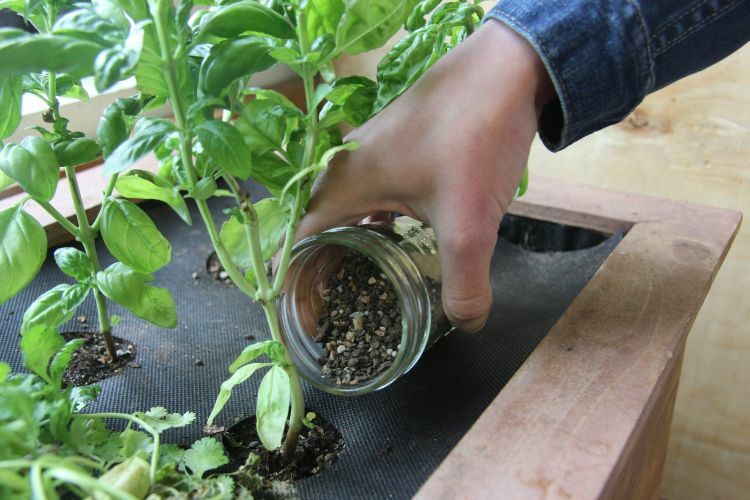 This is especially important for fast-growing herbs that are grown in containers. Apply a light, all-purpose fertilizer per the instructions, making sure to water it into the soil and not apply to the leaves. Most herbs and vegetables need a minimum of 4-6 hours of sunlight during the day to grow well. If growing plants indoors windows facing south or southwest will receive the most natural sunlight during the day. Kitchen windowsills are optimum spots if they receive enough sun. Herbs prefer the same temperatures humans do. They grow best when it's 65 - 70 degrees F, which is why they grow so well indoors. Some will tolerate cooler conditions at night if they are grown in windowsills as long as leaves don't touch the cold glass. When temperatures outside start to dip below 60 degrees F it's time to bring your herbs inside where it's warmer! When harvesting most herbs, it's important to remove no more than the top 1/3 of the plant. This will leave plenty of leaves to help the plant regenerate itself. 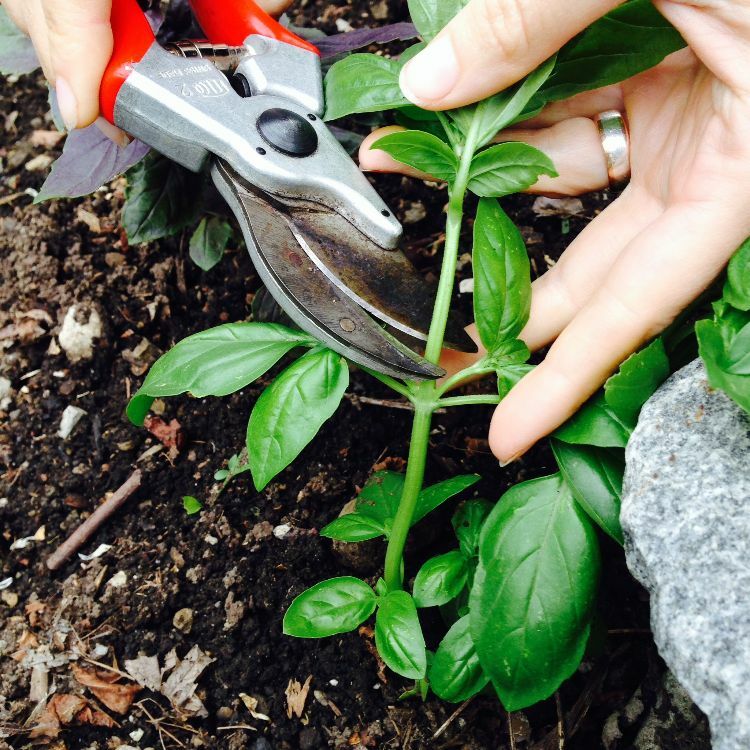 Use sharp, clean scissors or gardening shears to clip stems just above a node where leaves sprout from the stem. Natural Living Ideas outlines a timeline on when it's best to harvest specific herbs. 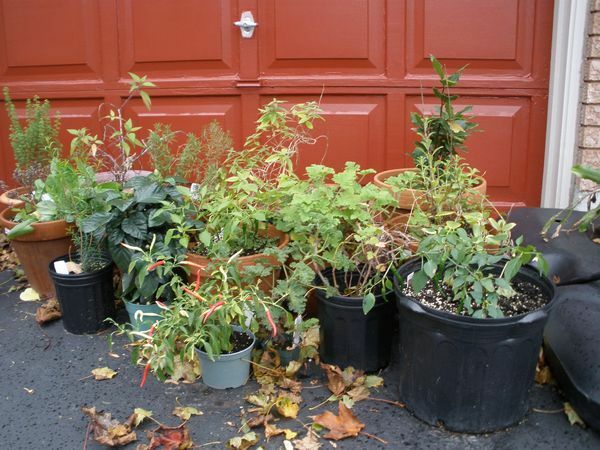 Many herbs can be grown from seeds, or you can buy new plants from a nursery or garden center. But it's cheaper and quicker to take cuttings from plants you already own and grow new herbs from the cuttings! 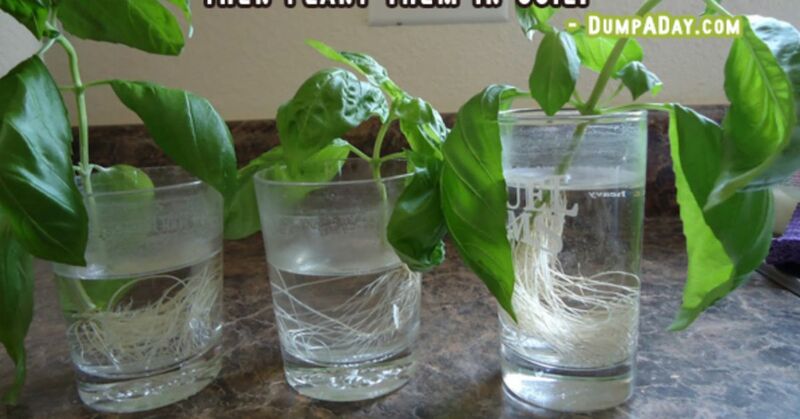 Learning Herbs provides great step by step instructions on how to grow herbs from cuttings.